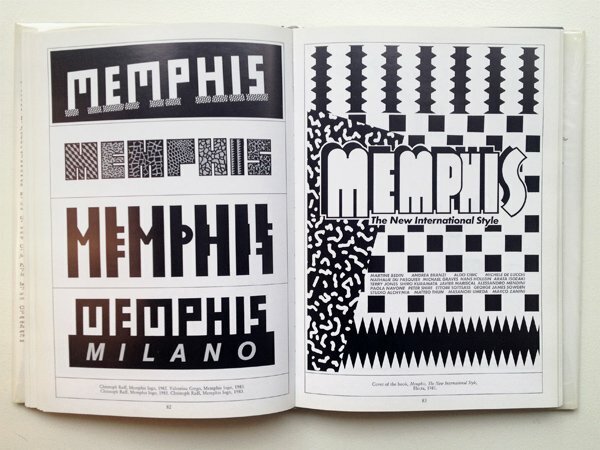 I never tire of looking at this beautiful Memphis book...it always has something surprising that inspires me. All those crazy patterns, colors and shapes make me think how bold and out there the Memphis design group was. They really defined an era! 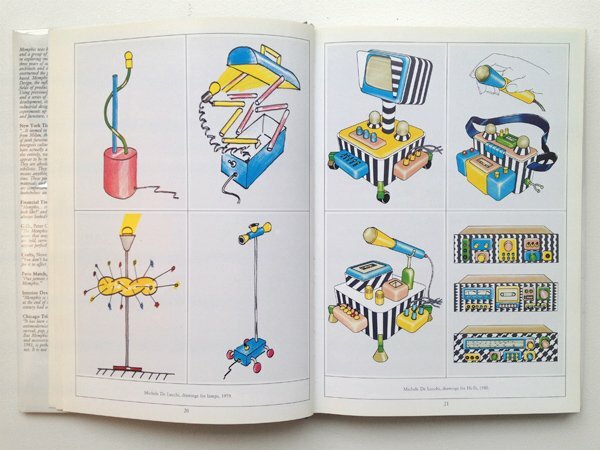 Michele De Lucchi, drawings for lamps, 1979, and drawings for Hi-Fi, 1980. 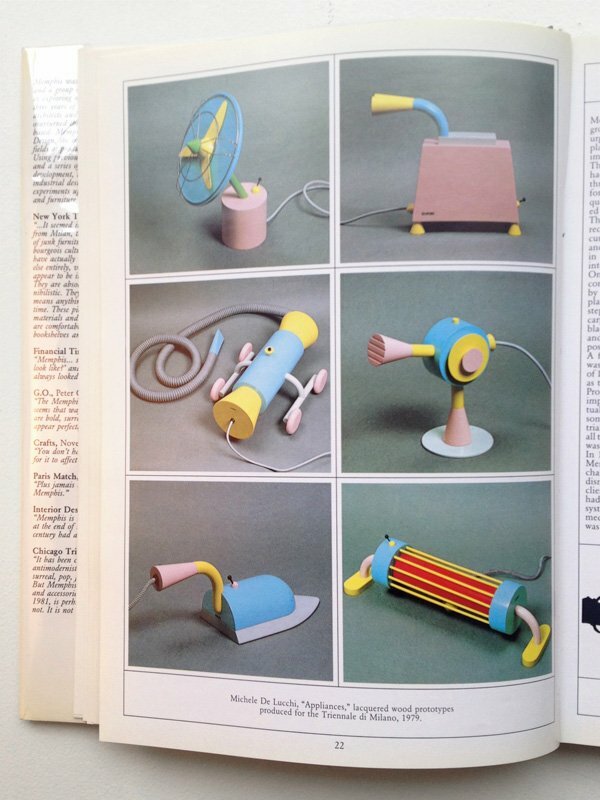 Michele De Lucchi, “Appliances” prototypes in lacquered wood, 1979. Produced for the Triennale di Milano. Left: Memphis logos designed by Christoph Radl, 1982 (top), Valentina Grego, and Christoph Radl, 1983 (bottom two). Right: Cover of the book “Memphis: The New International Style”, Electra, 1981. 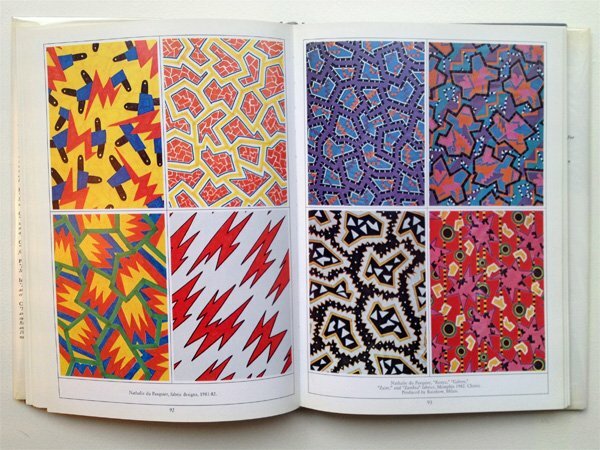 Left: Nathalie du Pasquier fabric designs, 1981-82. 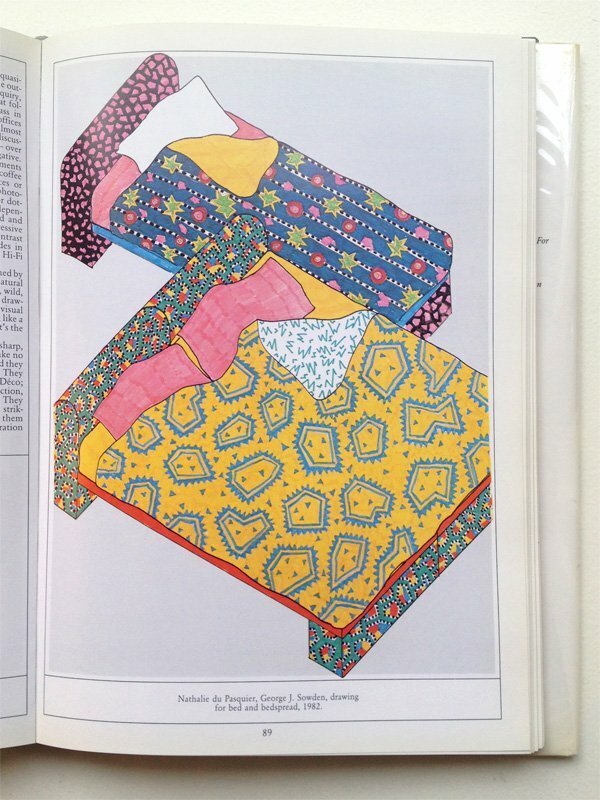 Right: Nathalie du Pasquier “Kenya”, “Gabon”, “Zaire”, and “Zambia” fabrics, Memphis, 1982. Produced by Rainbow, Milan. 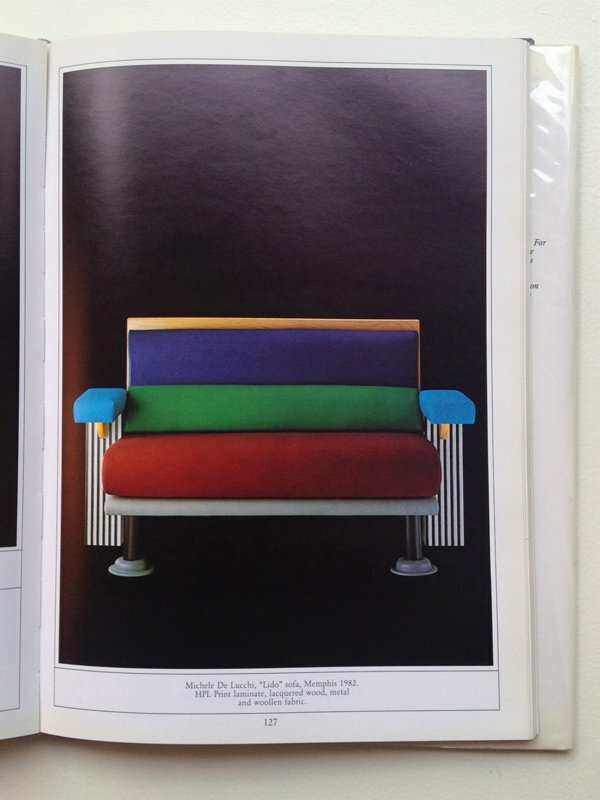 Michele De Lucchi “Lido” sofa, Memphis, 1982. 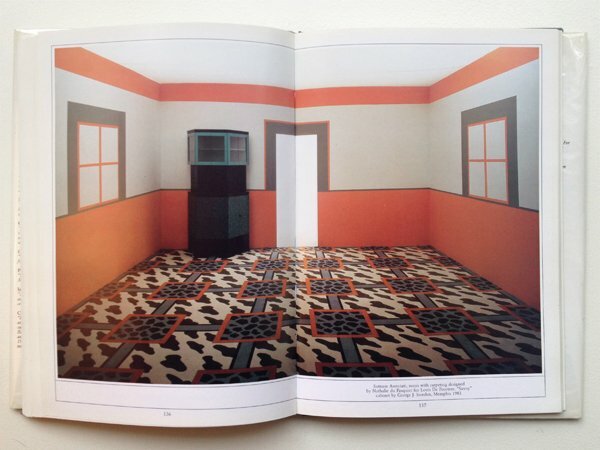 Sottsass Associati, room with carpet designed by Nathalie du Pasquier for Louis De Poortere and “Savoy” cabinet by George J. Snowden, Memphis, 1983. 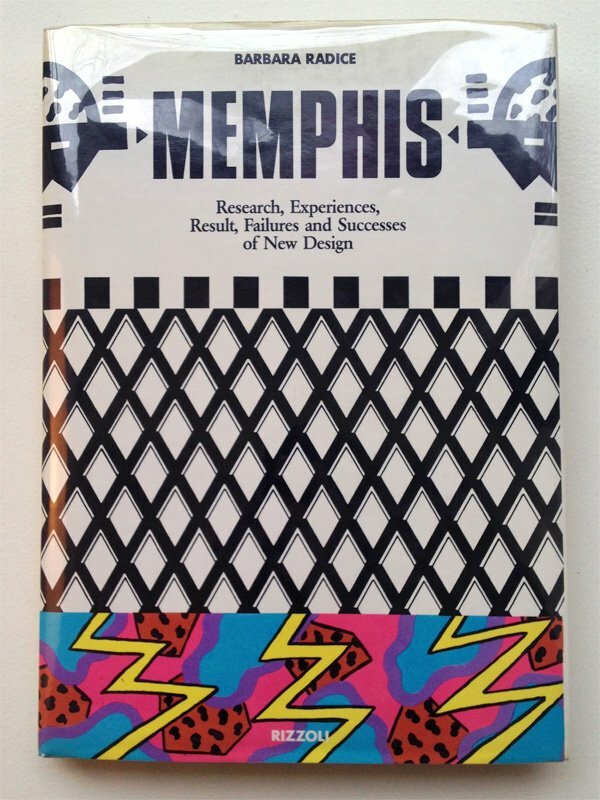 Memphis: Research, Experiences, Result, Failures and Successes of New Design by Barbara Radice, published by Rizzoli in 1984. 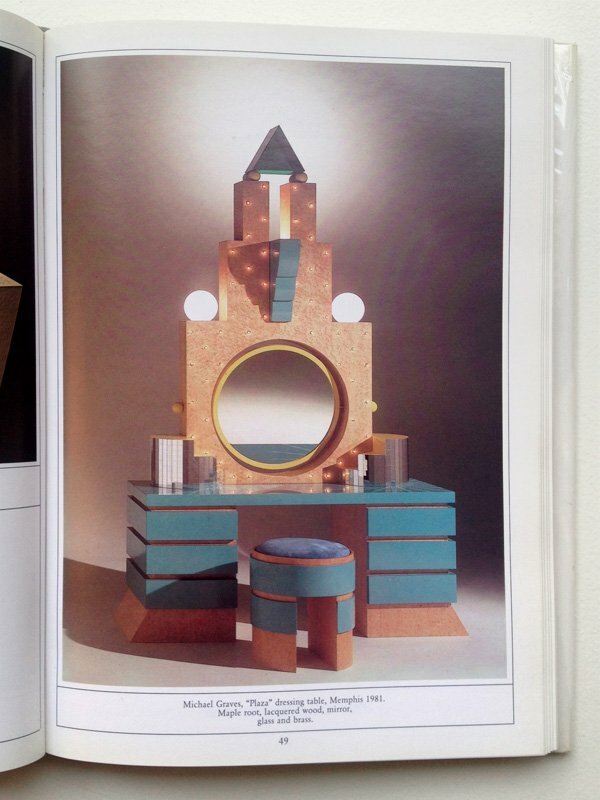 Check out our Tête-à-Tête between rising design star, Bethan Laura Wood, and Memphis founding member, Nathalie du Pasquier.